Do violent video games encourage real life violence? Chris Ferguson, psychologist at Stetson University, is researching this commonly held belief. 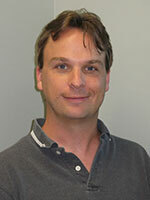 Chris Ferguson is an associate professor and department chair of psychology at Stetson University. He holds a Ph.D. in clinical psychology from the University of Central Florida. He has clinical experience particularly in working with offender and juvenile justice populations as well as conducting evaluations for child protective services. In 2013 he was awarded a Distinguished Early Career Professional Award from Division 46 (media psychology and technology) of the American Psychological Association. In 2014 he was named a fellow of the American Psychological Association through Division 1 (General Psychology, effective January, 2015). In addition to his academic work he has published a historical mystery novel entitled Suicide Kings. He lives in Winter Springs with his wife and young son. Debates about violent media have gone on since at least the ancient Greeks. Despite thousands of years of debate and hundreds of more recent research studies, we’ve still been unable to decide whether violent media fuel societal violence. Surveys of both scholars and the general public indicate no consensus has formed with just as many people doubting effects as believing in them. As experimental research studies have not been able to provide a conclusive answer to this question, one place to look for more answers is in regard to societal data itself. Does our consumption of violent movies or video games fluctuate in a way that predicts societal violence? Societal violence is complex, of course, but if media is the pervasive influence many claim, we ought to see some form of relationship. With this in mind I conducted two studies examining how societal consumption of movie violence across the 20th century as well as video game violence in more recent decades correlated with societal violence. Results for movie violence were interesting. Violent movies were particularly popular before the 1930s and then again in the latter half of the 20th century. At these temporal extremes, movie violence was related to decreased violence in society. But during the middle of the century, movie violence and societal violence did appear to correlate. Since this relationship reversed itself after 1990, it’s now clear this is what we call an ecological fallacy…a chance correlation that has no meaning, but probably looked meaningful at the time. By contrast violent video game consumption was clearly related to decreased violent crime among youth. Put together, societal data do not support beliefs that violent media consumption by society is a meaningful contributor to violent criminal behavior.